Have An Inherited Property in Hawaii You Don't Want? We Can Help! Aloha. We are ready to make you a Cash Offer TODAY and close quickly. We know the stress involved in dealing with an inherited property and we're here to help. We buy all types of Oahu properties and we're ready to make you a cash offer and close quickly. Fixer uppers OK! Pay no realtor commissions! We make it easy! ALOHA! We're Oahu Home Buyers, a Residential Redevelopment Company based in Honolulu, HI looking for more houses to buy. ANY size, location, condition, and price; we're ready to buy. We can make you a fair Cash Offer and close quickly. Let us help you! 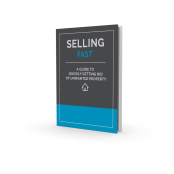 You'll also get immediate access to our FREE report, "SELLING FAST: A Guide To Quickly Getting Rid of Unwanted Property," which has 7 tips for selling your unwanted Hawaii property. © Oahu Home Buyers All Rights Reserved.